see our ARROWMOUTH at the Great Central Railway Model Event Weekend on the 14th to 16th June - See you there !!! When the Redditch Railway was constructed the Redditch to Barnt Green line in the 1850's it was built to double track standards in that all cuttings and embankments were made wide enough for two tracks as are all bridges over the railway. However many of the bridges under the railway are only built to single track standards including the bridge over The Worcester & Birmingham Canal at Alvechurch and the bridge over Windsor Road in Redditch. The brick parapets on both bridges are wide enough to take two tracks if the girder work carrying the rail line were to be extended. During the Second World War serous consideration was given to doubling the line as an alternative to the mainline through Bromsgrove and because a new factory for High Duty Alloys Ltd was constructed beside the rail line at Redditch. The factory was located with the idea to provide a siding to transport the castings they make for the aircraft industry. This plan for the siding and double track came to nothing. As part of the franchise agreement for London Midland who are the current rail operator of the train service to Redditch they were committed, subject to funding being available, to increase the frequency of the rail service to Redditch from two to three trains an hour and introduce a similar frequency to Bromsgrove. 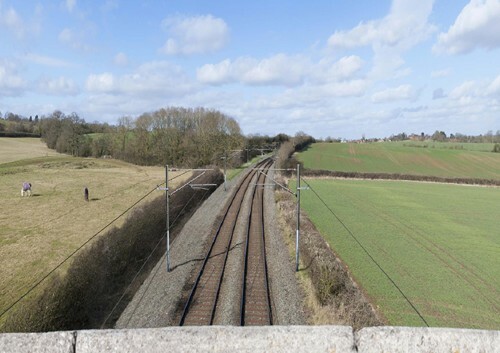 This requires electrification of the rail line from Barnt Green to Bromsgrove, a new station at Bromsgrove and doubling of some of the single line from Barnt Green to Redditch. The other original commitment to increase all trains on the Cross City service from Redditch/Bromsgrove to Lichfield to 6 cars is unlikely to be achieved. The additional trains needed for the increased frequency to Redditch and the service to Bromsgrove could only be achieved with an order for additional Class 350 electric trains thus allowing extra Class 323 units to be released off other London Midland services onto the Cross City line. The work on doubling a section of the Redditch was completed by 1st September 2014 and the three trains an hour to Redditch were introduced with the start of the winter timetable on Monday 15th December 2014. The scheme was to double the branch line from just north of the road bridge over Weights Lane to a point just before the bridge over the canal at Alvechurch a distance of around 3km or 1.8 miles which is around 40% of the total length of the line from Redditch to Barnt Green. 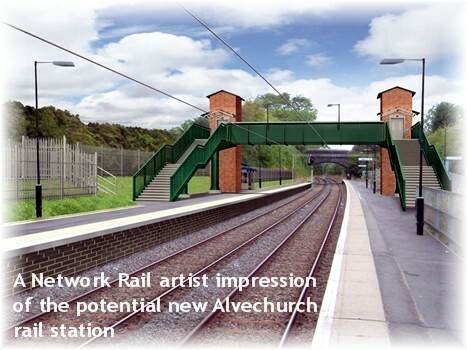 This also meant an extra platform was constructed at Alvechurch station. 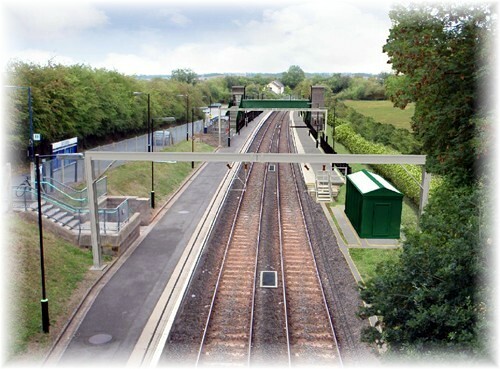 This enlarged station has been provided with a new footbridge which as well as providing passenger access to both platforms will also allow the current foot crossing at the south of the station for a public right of way to be diverted via the footbridge to improve public safety in the area. Autumn / Winter 2012 - On 4 September 2012 plans for the project were submitted to the Planning Inspectorate for the necessary powers to deliver the scheme. © Redditch Model Railway Club Limited 1999 to 2019 - All Rights Reserved.